CPR Classes - Palm Desert Resuscitation Education LLC ® (PDRE) - ACLS; PALS; BLS (English & Spanish); First Aid/CPR AED (English & Spanish); Pediatric First Aid/CPR AED (English & Spanish); ECG & Pharmacology Course; Rhythm Adult; Rapid STEMI; Nonvalvular Afib; Acute Stroke; Health and Safety Training; Bloodborne Pathogens; Airway Management; Neonatal Resuscitation Program (NRP by AAP); Pediatric Advanced Emergency Assessment, Recognition and Stabilization (PEARS); S.T.A.B.L.E. Program; Management of Assaultive Behavior (MAB)/AB-508 Violence Prevention; PDRE’s Dog Lovers First Aid and CPR/CPCR Course; Intravenous (IV) Therapy & Blood Withdrawal Certification; AED Service Package for Your Business or Home; “Code Blue” or “Code White” Mock Testing and Evaluation; Automated External Defibrillator (AED); American Red Cross (ARC)’s First Aid, CPR, AED, BLS/CPR for Healthcare, Babysitting & Child Care, Swimming & Water Safety, and Lifeguard Training; HighYieldReview for ABIM and Physician Board Review Courses; Southern California Nursing Academy (SoCal Nursing)’s Accredited Certified Nurse Assistant (CNA) Program through our exceptional Nurse Assistant Training Program (NATP), NATP Curriculum Theory/Didactics and Clinical Training Provider approved by the California Department of Public Health (CDPH); Coming Soon: Accredited LVN Program; Advanced Life Support Obstetrics (ALSO) by the American Academy of Family Physicians (AAFP); Acute Trauma Life Support (ATLS) by the American College of Surgeons (ACOS); Trauma Nursing Core Course (TNCC) by the Emergency Nurses Association (ENA); And many more educational, training, certification and licensure courses and program coming soon near you! Please stay tuned!!! Open for Coachella and Stagecoach! through passionate and caring commitment. authorized provider of CPR and ECC courses as well as many healthcare/non-healthcare classes, courses, seminars, continuing education credits (CEUs), and continuing medical education (CMEs)! We are an AHA, AAP, ARC and other authorized provider of healthcare/non-healthcare classes, courses, seminars, continuing education credits (CEUs), and continuing medical education (CMEs)! 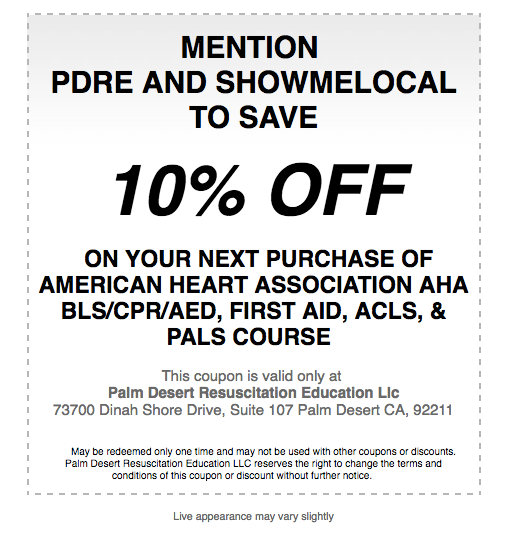 Palm Desert Resuscitation Education (PDRE) – located within the Coachella Valley in Palm Desert, San Bernardino County in Redlands, Riverside County in Riverside (UCR), Orange County in Lake Forest, and now San Diego County in La Jolla (UCSD) – is among Southern California’s best and frontrunner in American Heart Association (AHA), American Academy of Pediatrics (AAP), and other classroom-based and online education, up-to-date news and information delivery. We want to advance our mission of promoting healthier lives and assist in reducing the morbidity and mortality of cardiovascular diseases, stroke, and other medical emergencies through evidenced-based learning and professional education as per the most current AHA, AAP, ARC, and other guidelines and recommendations. Staffed by a dedicated team of highly qualified professional educators and stellar personnel with diverse and experienced healthcare backgrounds, PDRE offers education and training in AHA, AAP, ARC and other courses and/or certification(s) for healthcare professionals, allied health professionals and other non-healthcare providers or novice laypersons. We are now eligible to serve as an NRP Instructor Mentor. PDRE wants to share our valuable experiences and guide future qualified and competent NRP trainees through the Instructor Candidate process. As NRP Mentors, we will affirm an NRP Instructor Candidate’s application, co-teach with the Instructor Candidate and facilitate a “debrief the debriefer” session with the candidate. This course is for all Dog Parents, Dog Lovers, Pet Owners, Groomers, Pet Sitters, Kennel Owners, Dog Walkers, Lay Persons, Non-veterinary Healthcare Providers, and Veterinary Healthcare Providers who want to know and be certified by PDRE on how to perform Canine First Aid and CPR/CPCR as well as learn other lifesaving information and psychomotor skills in a wide variety of out-of-hospital and in-hospital settings. Discover the necessary knowledge and appreciation for cultivating a higher quality of life for your adorable canine by taking our Veterinary Approved and Peer-reviewed Course! The Intravenous (IV) Therapy & Blood Withdrawal Certification Course is for healthcare providers who may be required to perform IV therapy and blood withdrawals in the healthcare settings. These include personnel who will need the necessary knowledge, skills, and ability to begin, maintain, and perform to the highest standard of care infusion of intravenous fluids and withdraw of blood such as medical students, physicians, nurses (licensed vocational nurses LVNs, licensed practical nurses LPNs, registered nurses, nurse practitioners NPs), certified phlebotomy technicians, emergency medical technicians EMTs, paramedics and other designated healthcare providers. This Board of Vocational Nursing and Psychiatric Technicians (BVNPT) course will fulfill the mandatory requirement for licensure in the State of California. MEDucation, Blogs, and High Yield Review in Pulmonary and Critical Care, Cardiology, Gastroenterology, Nephrology, Endocrinology, Neurology, Rheumatology, Hematology/Oncology, and Infectious Disease. Also learn about the Art of Medicine, Medicine Origins, History, and Lore. If you are a medical student, resident, or physician, M.D. or D.O., and need some concierge one-on-one review for your licensing examinations or board certifications, please go to HighYieldReiew or email us at [email protected]. Our exceptional and brilliant licensed medical professionals – headed by our Co-Founder, Principal Owner and Medical Director, Dr. Aaron Noah Smith, MD and managed by our Co-Founder and CEO, Dr. Ryan Nuqui, MD – specialize and provide first-class restorative facial esthetics and cosmetic therapies that are non-invasive treatments and complements your youthful and vibrant look within the fabulous and iconic salon and spa services of Karl Vasquez. We not only offer a wide-spectrum and complete high-quality and tailored medical services in cosmetic injectable and other Aesthetic treatments in one of our special flagship sites at the renowned and well-established Karl Vasquez Salon and Spa but, at Allure A Medically Directed Spa®, we may also provide you with additional Wellness Services such Replenish 360 A Division of PDRE LLC®’s one-of-a-kind intravenous (IV) and vitamin supplementation hydration and a la carte therapy, calming and relaxing massage therapy, and other curative health-promoting services. Many more educational, training, certification and licensure courses and program coming soon near you! Please stay tuned!!! To find out more information about our classroom-based or online courses and programs, products, and services as well as our pricing options, please click on our COURSES & PRICING webpages to get started on your AHA training and nationally accredited certification(s). If you have any additional questions or concerns, please click on our Locations & Contact Us webpage to connect with us. We will be sure to help you immediately to the best of our abilities and to your 100% customer satisfaction. We have one of the best and most affordable American Heart Association (AHA), American Academy of Pediatrics (AAP), American Red Cross (ARC) and other course catalog and programs, products, and other services in your area!!! Seasonal And Promotional Discounts Available! Reserve and Purchase your Classes and Supplementary Materials now! PDRE’s offices and/or professional educational services may be open for GROUP CLASSROOM-BASED, ONLINE, or OUT-OF-SITE AHA, AAP, ARC, and other instructional courses. ***PDRE’s offices and/or professional educational services may be open for GROUP CLASSROOM-BASED, ONLINE, or OUT-OF-SITE AHA, AAP, and other instructional courses (English or Spanish-led classes) by scheduled appointment through our website’s easy online registration, phone, email, or in person as a walk-in (if class spaces are available). ***Special requested PRIVATE or OUT-OF-SITE AHA, AAP, and other instructional courses can be arranged at specified locations, dates and times. ***We also offer Automated External Defibrillators (AEDs) and AED Service Support, and other products and services. Classroom Based CPR Classes, First Aid, BLS, ACLS, and PALS Certification and Recertification Courses available for surrounding Palm Desert cities. Please contact us through phone, text, email, or in-person for discounted sales for group deals, military discounts, volunteer specials, and other qualifying offers for our PDRE business affiliates to save you money! Buy TWO advanced courses (ACLS and PALS) for $199 each or buy THREE core courses for $349 (applies to all AHA, AAP NRP, and other online and classroom courses. S.T.A.B.L.E. Program: Full-length S.T.A.B.L.E. Program Learner Course in Palm Desert, Redlands, Riverside, & Lake Forest (Offered Weekly & PRN By Appointment). HighYieldReview for ABIM and Physician Board Review Courses: MEDucation, Blogs, and High Yield Review in Pulmonary and Critical Care, Cardiology, Gastroenterology, Nephrology, Endocrinology, Neurology, Rheumatology, Hematology/Oncology, and Infectious Disease. Management of Assaultive Behavior (MAB) or AB-508 Violence Prevention: Now Open for Enrollment and Certification in MAB/AB–508. PDRE’s Dog Lovers First Aid and CPR/CPCR Course: Now Open for Dog Parents, Dog Lovers, Pet Owners, Groomers, Pet Sitters, Kennel Owners, Dog Walkers, Lay Persons, Non-veterinary Healthcare Providers, and Veterinary Healthcare Providers. 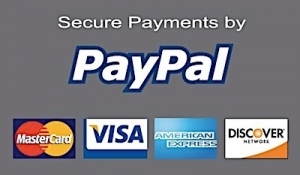 Your PDRE Gift Certificate for Your Wish List! You can give a special life saving gift redeemable for a HEARTSAVER FIRST AID CPR AED COURSE for only $80. Classes are offered 7 days a week in a group or personalized setting. Please call or email us at [email protected] to schedule your course. Certificate expires in 6 months from the date issued and cannot be exchanged for cash. 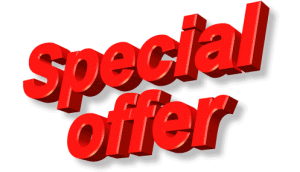 These special offers includes the materials needed for the courses including the AHA, AAP, and other applicable eCard course certificate of completion. 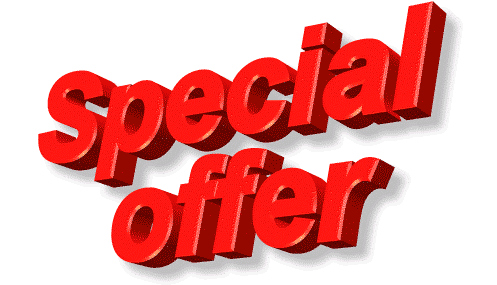 These special offers do not include the provider manuals for the respective courses. They may be limited times only. Rules and regulations of these special offers are subject to change without prior notice. PDRE works with the best businesses in the community. Palm Desert Resuscitation Education (PDRE) and the Neonatal Resuscitation Program (NRP) Steering Committee have been following diligently the steady stream of NRP Instructor Updates for the Fall and Winter Seasons of 2018. These fresh revised guidelines and recommendations for “Newborn Resuscitation” obviously come from the Members of the NRP Steering Committee and the American Heart Association (AHA) developed the 2015 United States (U.S.) Guidelines for Neonatal Resuscitation. In guaranteeing effective and up-to-date evidenced-based guidelines and recommendations by Palm Desert Resuscitation Education (PDRE)’s Sugar, Temperature, Airway, Blood Pressure, Labs, and Emotional Support (S.T.A.B.L.E.) Program, our excellent course instructors now tailor to a pair of training and imperative changes that count towards the Lead and Support Instructor Teaching Requirements. On November 5, 2018, American Heart Association (AHA) provided our Palm Desert Resuscitation Education LLC (PDRE) Training Network and Instructors evidenced-based guidelines for the new 2018 Focused Cardiopulmonary Resuscitation (CPR) and Emergency Cardiovascular Care (ECC). In cooperation with the International Liaison Committee on Resuscitation (ILCOR), the AHA published the 2018 AHA Focused Updates on Advanced Cardiovascular Life Support and Pediatric Advanced Life Support (2018 Focused Updates). Palm Desert Resuscitation Education and Mama’s House have been working together to help promote the slogan “Pregnant & Scared” and “Love Lives Here,” providing hope, sharing truth, enabling courage, and serving in love. Helping to support the cause of Mama’s House, a deep-rooted and constructive non-profit organization, Palm Desert Resuscitation conducted an American Heart Association (AHA) Heartsaver First Aid and CPR AED and Basic Life Support (BLS) course for their appreciated Guests, Members, and Volunteers who are committed to serving the community and support the mission of fostering hope and spreading love through everything that they do. What is Glutathione Antioxidant? First of all, let’s talk about Glutathione’s chemical make-up before we delve into its antioxidant properties and its many health benefits. It is a polypeptide made up of three proteins, mainly glycine, cysteine, and glutamic acid. This tri-peptide macromolecule is, arguably, by far one of the most important and superior antioxidant in the human body that is essentially found in every single cell and tissue in your body since it also genuinely helps, supports and considerably counteracts free radicals,which have a negative impact on your overall health in general by preventing cellular death that may cause unwanted health effects such as acceleration and further progression of the aging process. Currently, California Law (e.g., California Health and Safety Code, Section 1596.866) requires providers in child care centers and family childcare homes to complete 16 hours of training about health and safety that you are welcome to sign up through our great, excellent and accessible courses at our different locations in Southern California (SoCal) – in the cities of Palm Desert, Redlands, Riverside, and Lake Forest near most of the SoCal counties of Riverside, San Bernardino, Orange, San Diego, and Los Angeles! The Health & Safety Training for Childcare Providers includes 16 hours of Pediatric First Aid, Infant/Child/Adult Cardiopulmonary Resuscitation (CPR) and Preventive Health Practices. Understanding competently the endotracheal tube size, correct placement using feedback devices such as the end-tidal carbon dioxide (CO2) detectors and waveform capnography are only one of many keys to airway management stabilization in the Pediatric Population. For more information and education in endotracheal tube (ETT) sizes, proper placement, and other useful airway management methods for the Pediatric Population in children (age 1 year to puberty or about 8 years old), infants (12 months of age or younger), and neonates (28 days or younger), please sign up for Palm Desert Resuscitation Education’s Pediatric Advanced Life Support, Pediatric Emergency Advanced Assessment, Recognition and Stabilization (PEARS), Airway Management, Neonatal Resuscitation Program (NRP), and Sugar, Temperature, Airway, Blood Pressure, Lab Work, and Emotional Support (S.T.A.B.L.E.) Program. Intravenous (IV) Therapy & Blood Withdrawal Certification is an authorized healthcare provider course, which is a classroom, video-based, Instructor-led class to reinforce the important concepts of IV therapy and blood withdrawal. The Intravenous (IV) Therapy & Blood Withdrawal Certification Course is for healthcare providers who may be required to perform IV therapy and blood withdrawals in the healthcare settings. These include personnel who will need the necessary knowledge, skills, and ability to begin, maintain, and perform to the highest standard of care infusion of intravenous fluids and withdraw of blood such as medical students, physicians, nurses (licensed vocational nurses LVNs, licensed practical nurses LPNs, registered nurses, nurse practitioners NPs), certified phlebotomy technicians, emergency medical technicians EMTs, paramedics and other designated healthcare providers. This Board of Vocational Nursing and Psychiatric Technicians (BVNPT) course will fulfill the mandatory requirement for licensure in the State of California. With access to the right equipment and support, everyone can help save a life. Philips AED solutions with Life Guidance act as your personal coach to guide you through a cardiac emergency with a simple, step-by-step process. Adaptive instructions and intelligent sensors keep you on track to automatically deliver the right therapy, helping give you the confidence to lead the way to save a life. What is the Philips HeartStart Home Defibrillator indicated for? It is used to treat victims of sudden cardiac arrest who are unresponsive, not breathing or short of breath, and/or pulseless due to a catastrophic shockable arrhythmia (mostly Ventricular Fibrillation). The intricate and normal electrical signals of the heart malfunction, which leads to a quivering of the heart and a subsequent decrease in the heart’s cardiac output that is needed to sustain life. The Philips HeartStart Home Defibrillator can deliver the lifesaving shock to the heart in conjunction with CPR to increase the survival rate from a sudden cardiac arrest before emergency medical professionals arrive at the scene.